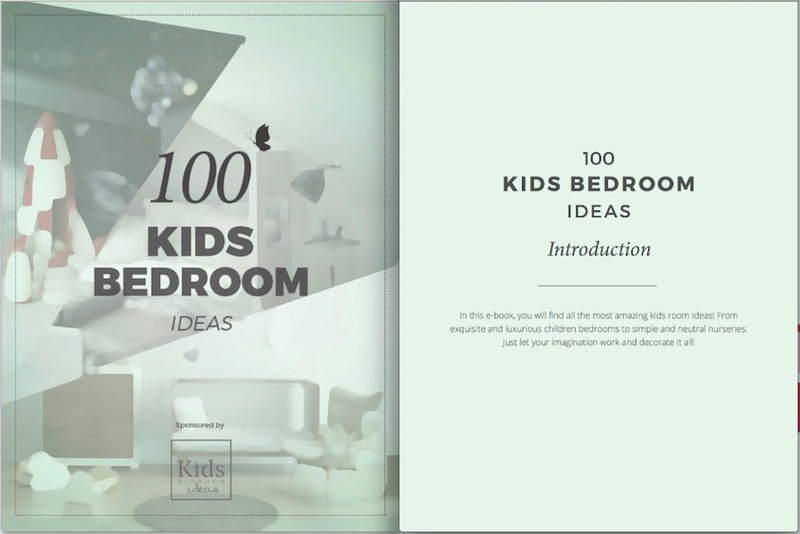 Free Ebook “100 Kids Bedroom Ideas“ — a great selection of the most magical and incredible kids rooms, from standard rooms for your girl to some exquisite decoration for your little boy room or even to a classy nursery. What about starting your free ebook collection right now? 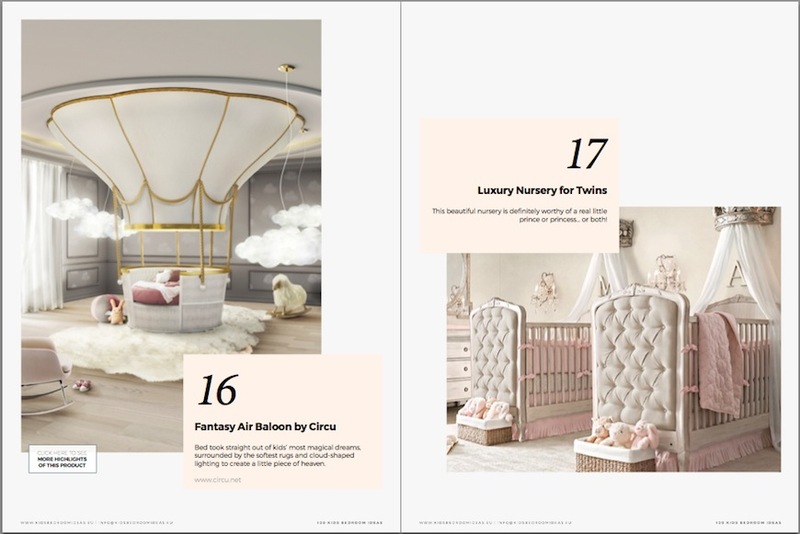 In this ebook, you will find amazing décor ideas for your children’s rooms, some exquisite, different and luxurious bedrooms designs. 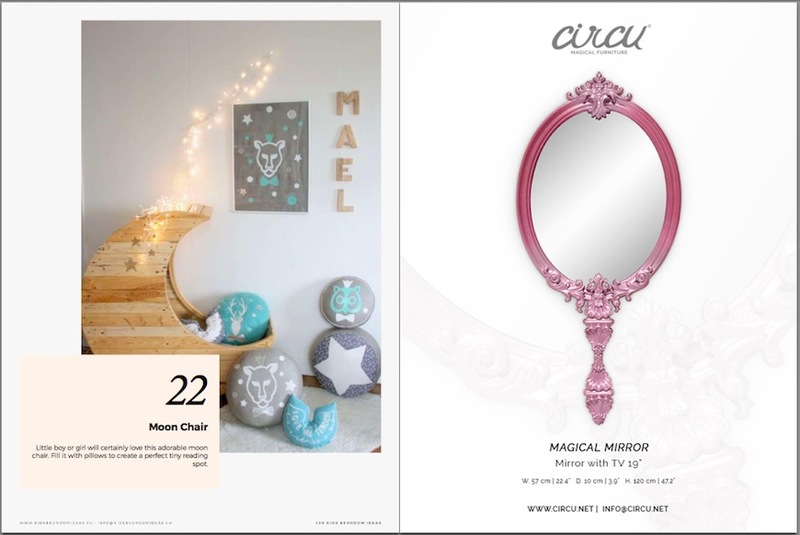 Decorating your kid’s bedroom is always a challenge, so consider this a little help for that matter. 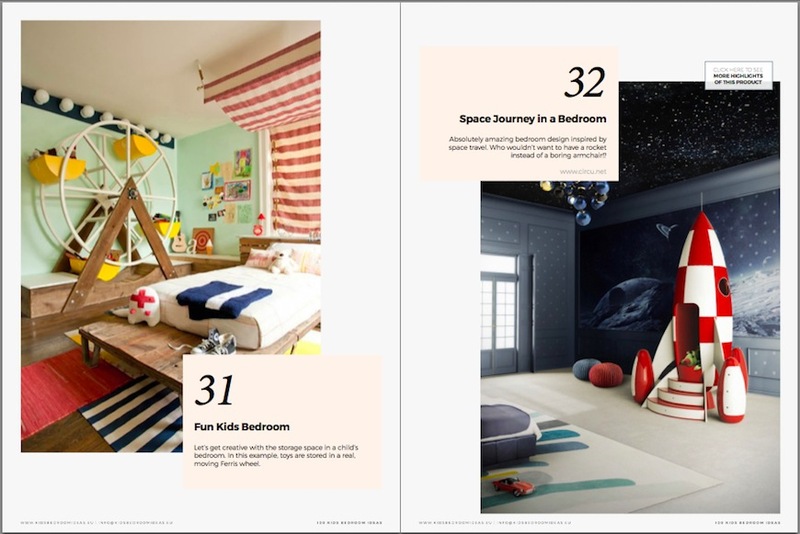 Kids Bedroom Ideas‘ editors guarantee that you will have all the inspiration you need to decorate any kid’s room after seeing this amazing free e-book. Created in partnership with Circu Blog, this fantastic ebook will be a useful source. And remember: let your little kids imagination flow and give them the bedroom of their dreams! 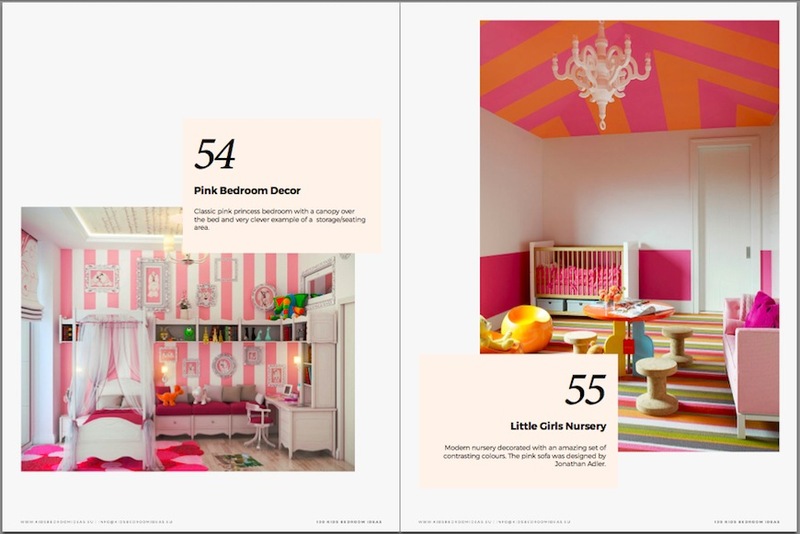 That’s right, moms and dads: if you are looking for some fabulous ideas to compose your kids’ room decoration, this ebook is a just a perfect match. What are you waiting for to get for free our ebook? Download it and get inspired now!